I've been around the small-scale mining block a good 40 years now and thought I knew just about everything concerning gold in my home state of California. But I was wrong. Thanks to Cali miner and writer Randy S. (who sent me the info that forms the heart of this post), "the blind have been made to see again." Although I've know for a long time that some gold has been found and mined in California's Transverse Ranges, I was not aware of the extent of a select few of those gold deposits and some of their "oddball" locations. 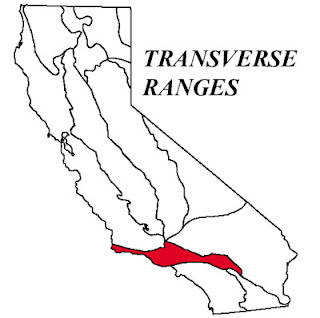 The Transverses are a group of Southern California mountains that begin at the south end of the once-Golden State's Pacific Coastal Ranges and that lie within the boundaries of Los Angeles, San Bernardino, Riverside, Ventura, and Santa Barbara Counties. Back in the day I did my fair share of prospecting, panning, sluicing, and dry washing in San Berdoo and Riverside Counties, but not once did I ever make those other Southern California counties I just listed a "priority" target of my mining acumen or enterprise. Thanks to Randy, I can now look back in time and wonder if I shouldn't have at least done a little exploring in some of those other counties. But the truth of the matter is that I had my hands full at the time just trying to get up to speed and become more proficient at doing what I love the most. 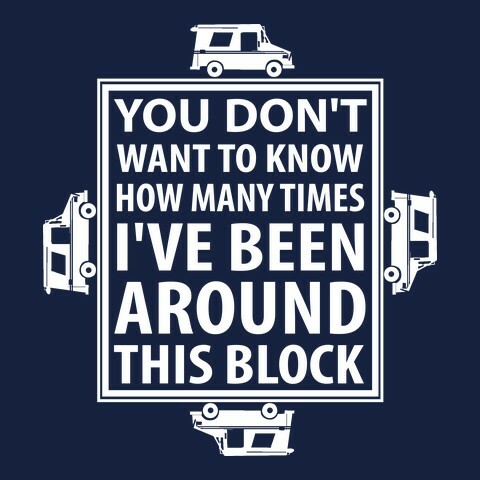 It should also be said that nowadays many areas in these parts of Southern California have been heavily developed with housing tracts, strip malls, and fast-food joints. In fact, I know of certain smaller placer areas that have been completely "buried" under developments of one sort or another in SoCal. It's the "too many rats in the cage" syndrome that caused me to leave my home state and head for the wilds of Northern New Mexico in 1991. I'd had enough of the crowding, rampant over-development, and general "madness" in Southern California, you see? One of the earliest placer gold discoveries in the Transverse Ranges occurred in 1834 near what is now known as Castaic, north of Los Angeles. In fact, any of you out there who've ever driven north from the "City of Angels" (i.e., Los Angeles or "L.A.") along Interstate 5 have passed Castaic on your way to and through the Interstate's so-called "Grapevine" that'll eventually carry you downhill to the extreme southern end of the San Joaquin Valley (my home turf) near Bakersfield. I've driven this route and have blown right by Castaic more times than many of you have years under your belts, usually on my way to claims in the Northern Motherlode when I lived in the San Diego area in the 1970s and 1980s. The placer deposits discovered near Castaic were found in Palomas, Placerita, Santa Feliciana, and San Francisquito Canyons. Much of this early placer work was done by those associated with the San Fernando and San Buenaventura Missions and directed by the Catholic priests at those religious centers. At that time only the crudest hand mining methods were employed and gold recoveries were spotty or inconsistent until 30 experienced placer miners were brought up from Old Mexico during the 1839-1840 time frame. By 1841 these more proficient miners were able to recover more than 20 troy pounds of placer gold from Santa Feliciana Canyon alone! Placerita Canyon was probably just as productive, although the historical records provide slim pickings in this regard. At any rate, the area around Placerita Canyon is now a California State Park, so don't get your hopes up. 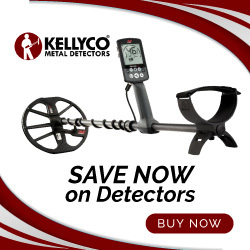 You usually aren't allowed to prospect, mine, or metal detect in most state parks. 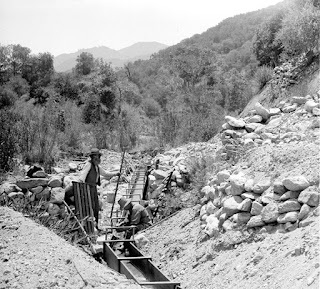 Around the same time that Placerita and Santa Feliciana Canyons were being worked heavily, Andrew Castillero discovered placer gold in and along Piru Creek in Ventura County. 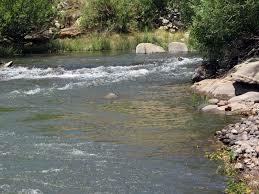 Concurrent to Castillero's discovery, other placer deposits were also found in the nearby Frazier Mountains. Much of he gold from these two discoveries ended up being shipped to the United States Mint in Philadelphia, Pennsylvania. 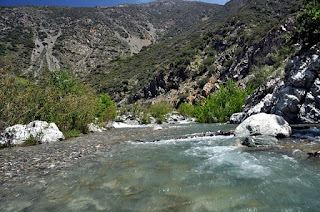 In the mid-1840s other placers (and eventually lode deposits) were located and worked along the southern flanks of the San Gabriel Mountains, especially in select locations along upper parts of the San Gabriel River (the East Fork of the San Gabriel being the premium area). Also, good gold could be had in this same area south of Mount Baldy. Not too far distant another gold area found and worked in the 1840s was the Baldwin Lake District in the San Bernardino Mountains. It was around this time that James Marshall, an employee of John Sutter, discovered gold in a tail race for a sawmill he was supervising construction of near Coloma in Northern California. Marshall's discovery of gold in the American River triggered the 1848 California Gold Rush, the largest gold-induced mass migration in history. Many of the Southern California gold areas already mentioned were either abandoned or semi-abandoned at this time as would-be Argonauts surged north and west into the Sierra Nevada foothills to get their share of one of the richest placer and lode gold strikes ever discovered. By the 1850s into the 1860s, most of the significant gold deposits in California's Transverse Ranges had already been discovered. There was a fairly large "rush" to the Kern River around 1855 or so, and many miners did quite well early on along and near the Kern. I myself worked a claim along the Kern below Lake Isabella Dam for a number of years and it's still a good area for small-scale guys and gals to turn some color, including large flakes and occasional nuggets. But as the Kern River placers became less productive from the large number of gold seekers working the area, around 1860 many miners turned their attention back to the San Gabriels and the placer and lode gold potential that still existed there. At one point during this period more than 6,000 individuals were mining gold in the San Gabriel River and in adjacent hard-rock or lode mines. It has to be said here that the majority of the placers in the Transverse Ranges were fairly shallow and not anywhere as extensive as those in the Motherlode Region. So they were quickly "played out." When this determination became a reality, miners turned their attention to the sources of those depleted placer districts and the main focus turned to mining gold-bearing quartz veins. The main lode mines at this time were the Governor and Red Rover Mountain Mines near Acton and the Santa Fe Mine Group near Baldwin Lake. These lode operations continued on and off right up until America's entry into World War II when all gold mining ceased as directed by the Federal government under President Franklin D. Roosevelt. 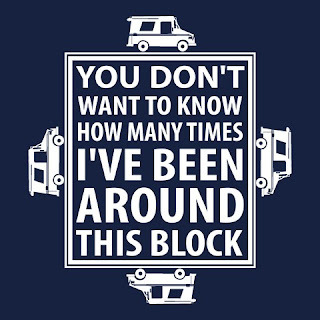 There's more to come, so hang around. Again, my thanks to California miner Randy S. for supplying the grist for this particular mill. Thank you Randy S. for the heads up on the Transverse Ranges. Interesting JR! But living in Santa-Boo-Boo county (Santa Barbara on maps!) I get discouraged. Yeah. And about the gold too. The county with the LEAST gold found in the stae's history would be?? Yup, rat chere! Yet San Luis Obispo Cty has a lot. And thanks to Randy S. for the heads up. Very cool and surprising that so much gold was discovered in that area! Seems like you can't take a step in California without stepping on gold.